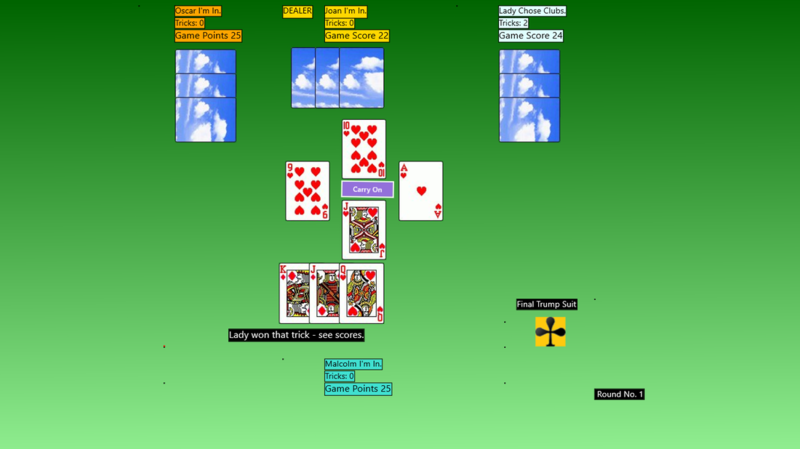 Various fun and addictive games including Bid Euchre, Joker Spades and Simply Euchre. Click/tap image of Bid Euchre on the left to be taken to the Windows store where you can download a free one week trial. At the end of the trial you can upgrade for unlimited play for a nominal sum of money. Tap image Euchre on the left to be taken to the Windows store where you can download a free one week trial. At the end of the trial you can upgrade for unlimited play for a nominal sum of money.